UBER Cab Services Is In Under Dscount Offer on Paytm, They Are Giving Flat 50% Off On Ride Booking With Its Lite Version Of UBER Lite On Paying Though Paytm. Apply Promocode: NEWLITE. 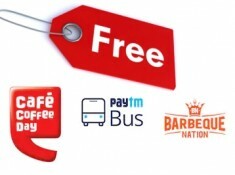 Valid on Next 5 Rides Maximum Discount Upto Rs.100.